Ed. Note: This post is from 2012. For the extensive 2017 patio list (100+ patios listed), click here. 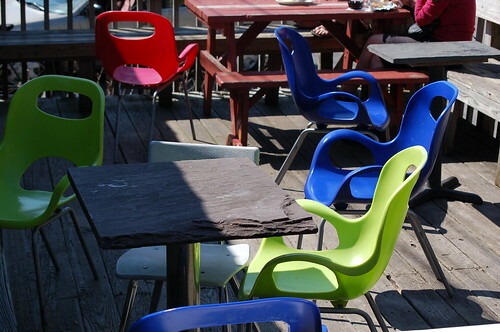 For details on ten of those awesome patios, keep reading! If you’re planning to meet friends who work all over the city for a patio happy hour, the Swanky’s in East Memphis is centrally located and their patio is large. The best time to enjoy said patio is on Tuesdays, when Swanky’s has two-for-one margaraita night (read: two huge margaritas, $7). Say what you will about the other parts of Cafe Ole – they’ve got one of the best patios in town. It’s massive, secluded (but not too secluded), and open late. It also goes well with margaritas. You can sip your coffee on the patio at Otherlands. You can bring your friends (or your dog). You can also drink a beer there – the shop sells domestic bottles all day long. Why eat pizza on a one-story patio when you could eat it on a two-tiered deck with big tables, lots of shade and plenty of space? The Pizza Cafe patio is fun for all ages. The inside of Central Barbecue’s original midtown location has a tendency to get a little cramped, especially during peak mealtimes. Instead, sit on the deck, which is almost as big as the main dining room and underwent some major repairs last year. I could tell you that Silky’s patio is great because of its size, itsgiant building facade, its live music and its Diver Buckets. Or, I could give you the only reason that really matters: it has goats, live goats that frolic outside on a huge goat playground. I’m willing to forgive the lack of parking right behind Bhan Thai since it means that there’s enough space for the restaurant’s massive back deck. 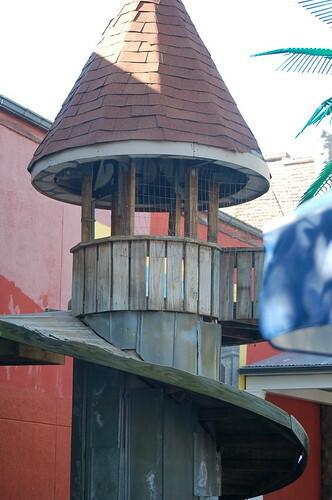 The big, two-level wooden patio is partially covered and has its own bar. There’s live music on the weekends and heaters when it’s cold out. The best time to hang out on the patio at Celtic is during Sunday brunch. 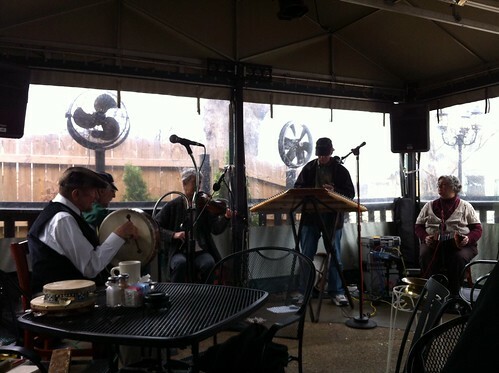 It’s a good way to escape any loud soccer fans inside and there’s live music from a traditional Irish band. Also, it’s a proven fact that mimosas taste better outside. Bayou Bar and Grill may have moved across the street from its original Overton Square location, but the people in charge are clearly smart – they added a bigger, better patio to their new space. Have a beer, eat some Cajun food (they’ve got alligator), and people watch in Overton Square. The Slider Inn is a relatively new restaurant, and this is its first full patio season. It already seems to be going well, though – the small, covered patio has been standing room only the past few times I’ve passed by. The patio is open late during the week and occasionally has live music on the weekends. When things get a little too smoky or loud inside the P&H, head out back past the bar and the bathrooms to the back deck. It’s almost always dark, but it’s a good place to take a break from the madness inside and have a conversation. The victorian-modern inside of the Mollie Fontaine Lounge is pretty incredible, but the lounge’s back patio is a little more private, a little more quiet and perfectly suited for drinking your fancy cocktail. If the urge for outdoor drinking doesn’t strike until well after dinner, Mollie’s patio is open late-late. The Majestic’s patio is a total date-night patio. 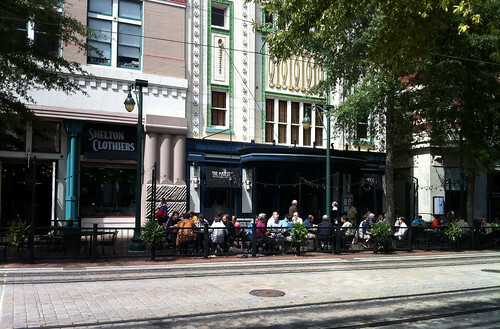 The lighting is perfect, the food is great, and from the patio, you’ve got a great view of people, trolleys and carriages on the Main Street Mall. A word of warning to those of you who are hoping to get a seat on the Bosco’s patio during Friday happy hour: get there early. The side deck is big, but the combination of inexpensive locally-brewed beers and really good food cause it to fill up fast, especially on the weekends. 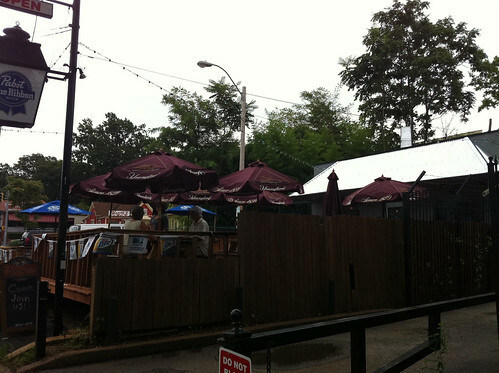 Where are your favorite places to drink outside in Memphis? So far, my favorite place is #9 – Celtic Crossing. I love the people watching opportunity (plus lots of people bring doggies). All the years I've lived here, I've never been inside Silky O'Sullivan's! This article is a great reminder. I'll be drinking there soon! You know Acre has an amazing patio too. Their house infusions are the bomb too. Pricey, but you leave feeling it was worth it. Le Chardonney has a great patio around the side. Wow. I'm pretty sure I've sat on every single one of these patios. Yeah! Also: Cheffies. BEE-E-A-YOU-TIFUL!!! The rooftop terrace at River Inn at Harbor Town. I'm not sure what their schedule is, but the last time I was there, it was open — a Thursday night. Can't beat the sunset there. The sidewalk in front of Max's beats every one of these! Fuel Cafe. We have good beer and tasty food. New menu as of today with lighter summery type dishes. And Local! Both Downtown & Overton Square!